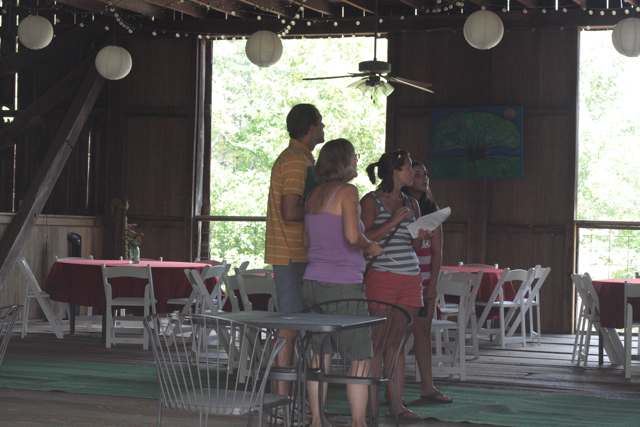 I mentioned earlier this week that I found two fabulous venues in Loudoun and I wanted to share these with you. I actually had not been to either of these places before so I was plesantly surprised. 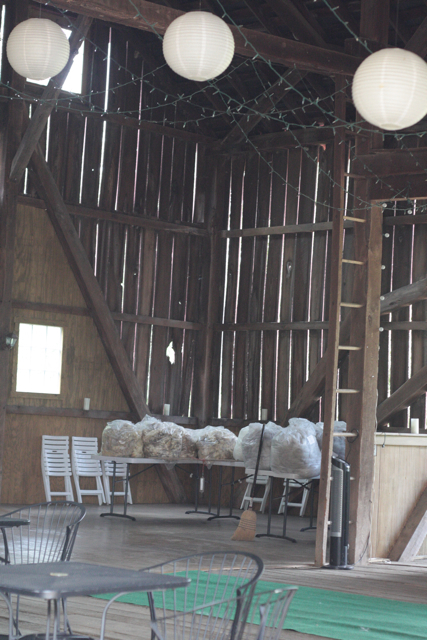 The first venue featured a real barn, the property is called WeatherLea Farm & Vineyard. 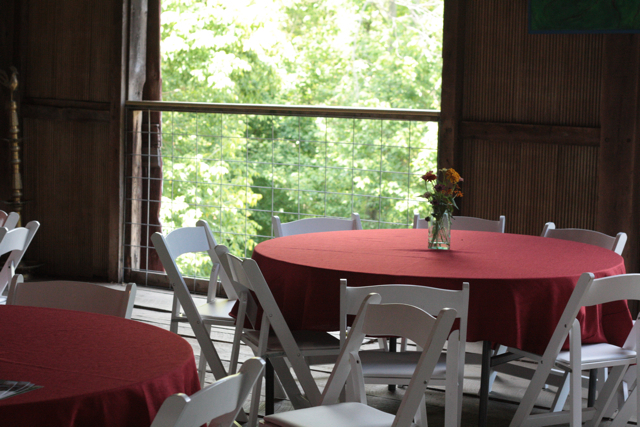 Their barn can seat 150 people and has a view that is to die for. Those are bags of wool sitting on the table. The family raises sheep also and the wool is ready to go to market. The property tag line is "wool, wine, and weddings". 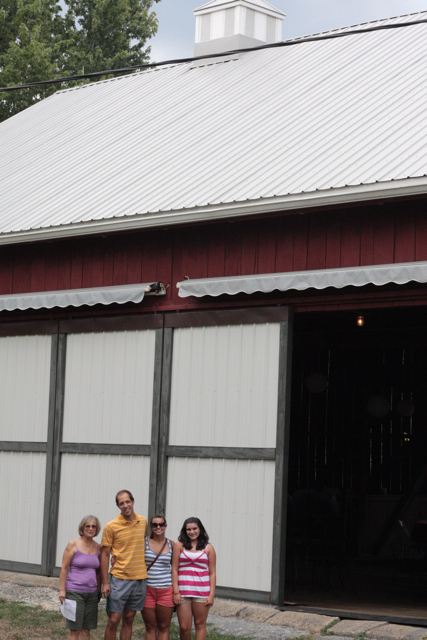 This barn is the real deal, and it looks like something right off of the pages of Style Me Pretty!! Here are the kids with owner Pamela Baldwin, who was kind enough to give us a tour of not only her barn but her gardens and her vineyard. 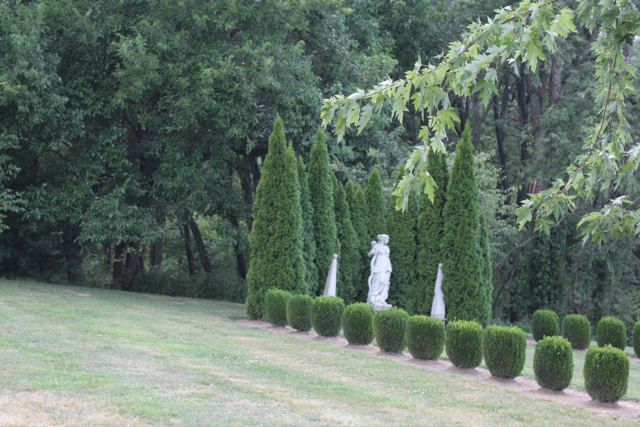 This is the view from the vineyards facing the house and the wedding barn. This place was beyond charming, and also provides a sweet cottage for the wedding evening. 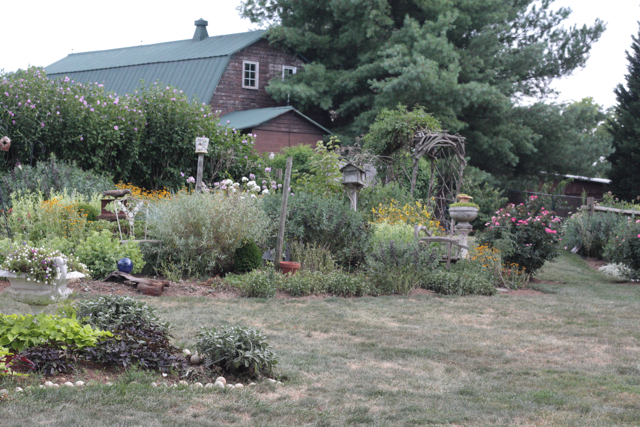 We loved our time with Pamela, and we were totally impressed with her very incredible farm. 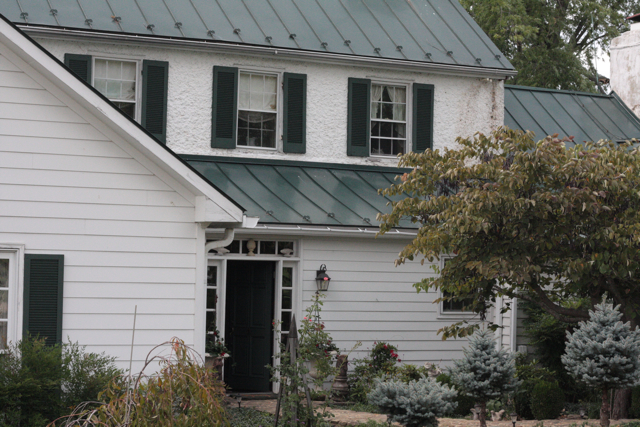 Next we traveled to the historic Siverbrook Farm owned by Dorthy "Dot" Shetterly. I heard Dot was a grandmother but I found that really hard to believe, she looks like a movie star. Cocktails can be served on Dot's porch or in the gardens. A tent is required at this venue if you have a substantial wedding guest list but there is a fabulous lawn that is perfect for the tent and the reception. This is where I captured this really cute picture of Mallary and Alex. I don't know where the kids will decide to marry but it has been awesome finding both of these new venues. They both embody the true spirit of Loudoun County. Holly, both of those venues are absolutely spectacular. 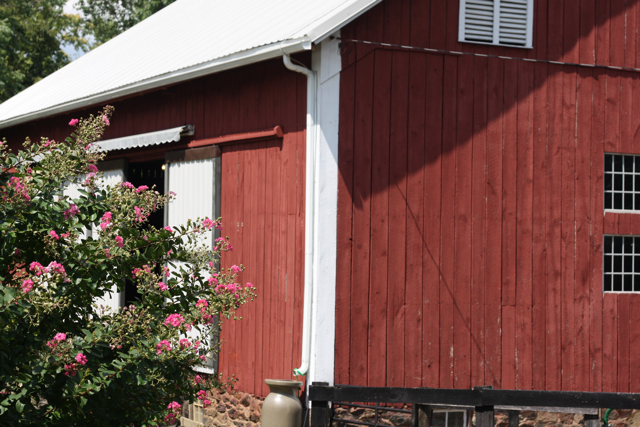 The Loudoun B&B Guild held its quarterly meeting at Weatherlea last week and the barn is a lovely venue to hold a wedding – I can only imagine it at night with all of those twinkling lights. Pamela is a fabulous hostess. 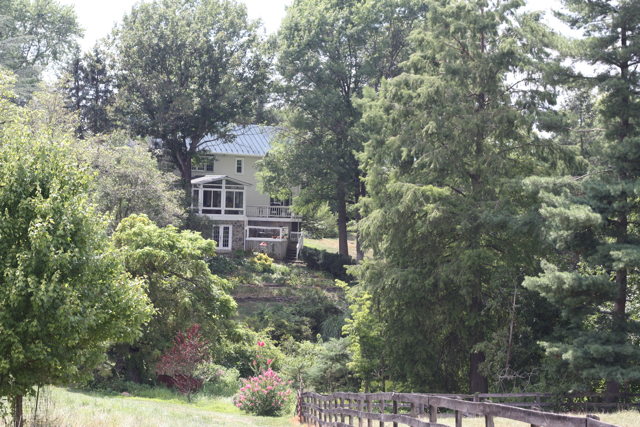 Silverbrook Farm is one of the most beautiful places in Loudoun County. You are so right – Dot does look like a movie star and is as gracious and charming as she looks. 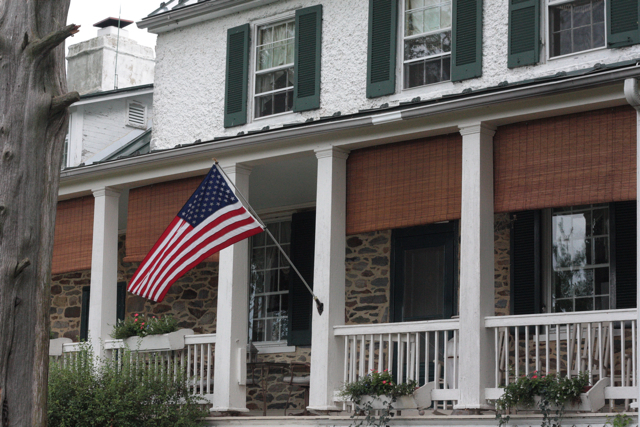 The grounds and the house are immaculate and so well cared-for. 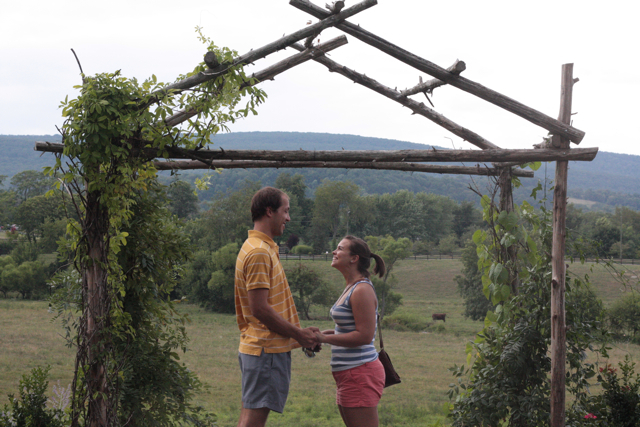 It will be hard for your son and future daugher-in-law to choose, as Loudoun has so many beautiful and historic venues.